The i4HD Multi Zone Tension Indicator allows you precisely monitor web tension from multiple zones throughout your process in one complete unit. 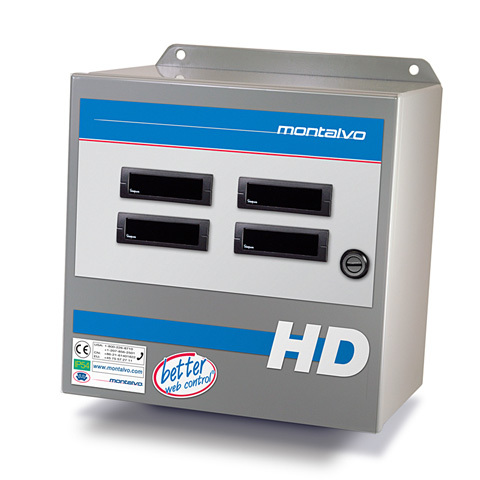 The i4HD Multi is available in either analog or digital displays. Just as a smoke detector alerts you to a potential hazard, the i4HD Multi gives your more information about your process to avoid hazards and ensure productivity. Precisely monitor web tension from multiple zones throughout your process for more productive and profitable runs. Available with 2-4 readouts. For more than 4 readouts please inquire about a custom muli-zone tension indicator. The i4HD Multi is available with either a clear, easy to read Digital or Analog Tension Display. 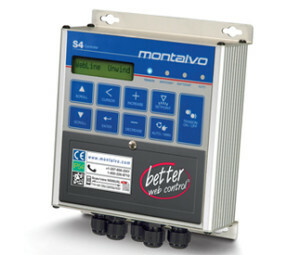 At the heart of the i4HD Multi is the A4 Amplifier which combines simplicity & functionality in one package, with such features as one push button calibration, load cell fault detection, remote calibration, and much more. Heavy Duty (HD) Enclosure ensures the i4HD Multi Zone Tension Indicator will work within the parameters of practically any application no matter how harsh the environment. The i4HD Multi is capable in indicating tension anywhere along your process for precise tension indication where you need it most. For additional information on the i4HD Multi Zone Tension Indicator please download the i4HD Multi Datasheet.